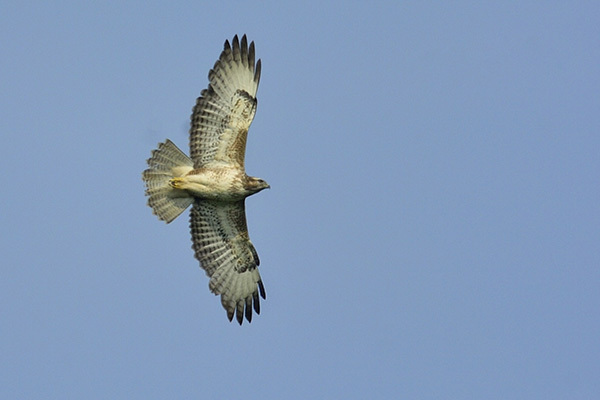 A few years ago, buzzard would have been a remarkable sighting in Wakefield but now it is a common place bird. Today though, it became a garden tick for me while doing a bit of pruning. Overhead I heard a buzzard call and eventually I located it high above, gliding on thermals towards Wintersett. Then I realised there were at least 6 individuals going over, one of them quite low over the houses. Autumn migration in action! 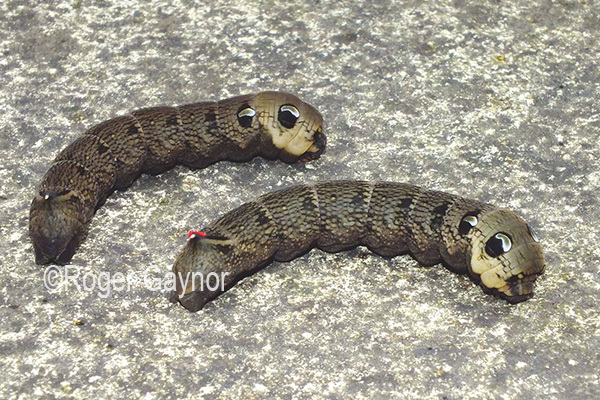 Two elephant hawk moth caterpillars were spotted today somewhat risking their lives making their way along a friend’s driveway at Wrenthorpe. At this time of year they can be seen during the day looking for a hideaway in low vegetation or just under soil surface ready to overwinter as pupa. When not disturbed, the larva have long, narrow trunk-shaped noses and this is how elephant hawk moths get their name. The two sets of eye spots may act as a deterrent to predators. These large caterpillars normally feed at night on rosebay willow-herb, bedstraws and in gardens, they are attracted to fuchsia. However, any damage to plants is minimal and they are not regarded as a problem. The adult moths are on the wing after dark from May to July often visiting honeysuckle during the evening to feed. It was a bright, sunny day with a hint of autumn for our visit to the vale. 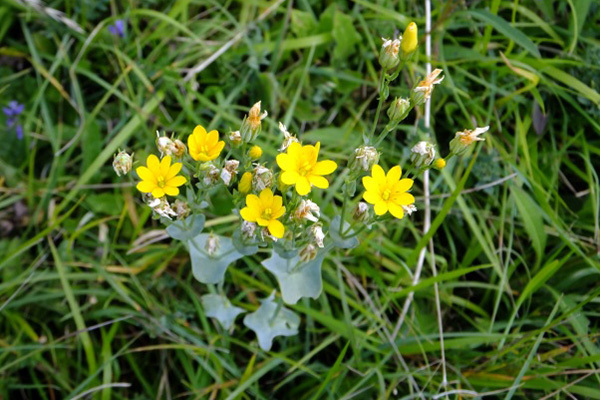 Corn sowthistle, rough hawksbit, both black and white bryony, creeping buttercup and cross-wort lined the pathway into the vale. Harebells blew gently amongst the rock rose and cat’s ear with self heal, eyebright, milkwort and tormentil still visible. 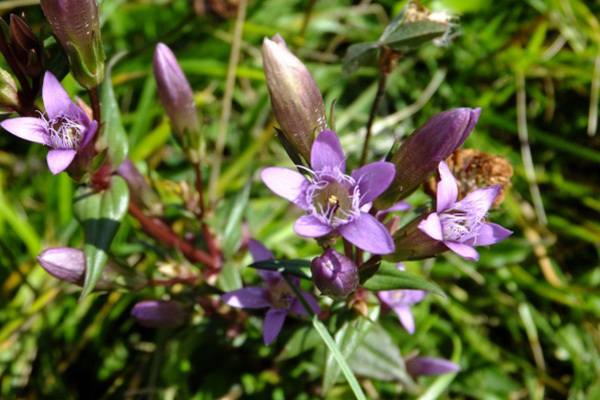 Three species of gentian – common centaury, yellow-wort and autumn gentian were a pleasure to see. The banking was a sea of blue with three species of scabious – field scabious, small scabious and devil’s bit scabious. 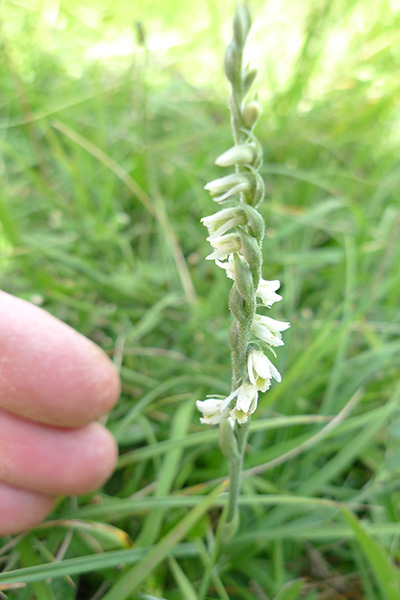 After much searching we finally came across the elusive autumn lady’s tresses, a very small member of the orchid family. The ground was very dry underfoot as we headed straight ahead out of the car park onto a well used path bordered by purple loosestrife and great willowherb mingling with the bright yellow of perennial sow-thistle. Gatekeeper and meadow brown butterflies clung to swaying patches of wild carrot amongst the upright hedge parsley. Coming out onto the main path there were still plenty of flowers to see – the ladies bedstraw was coming to an end but common centaury, meadow vetchling, common fleabane, red bartsia and field scabious were still flourishing. Two species of heather, common and cross leaved were thriving in the rough ground and St John’s wort, ribbed melilot, viper’s bugloss, black medick and teasel edged the path as we turned left back onto the main path towards the car park. 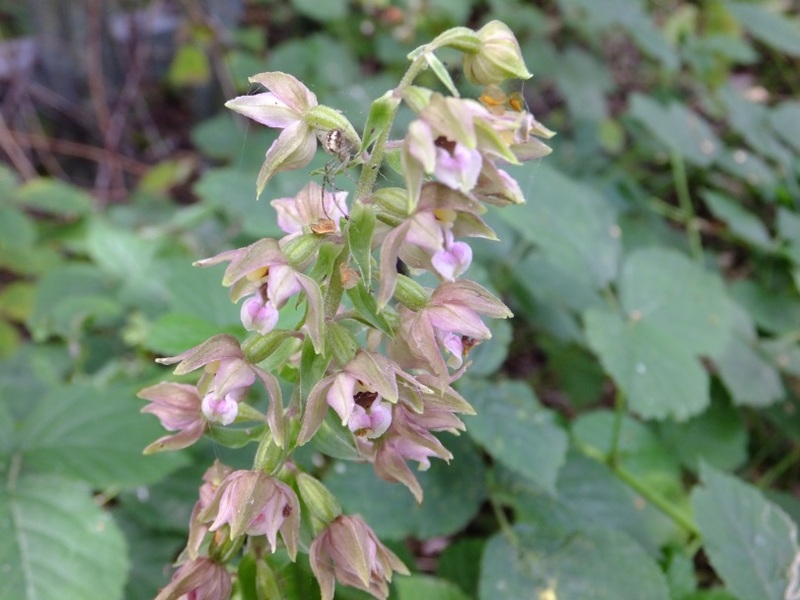 Broad-leaved helleborine was found in the same vicinity as previous years and along the path speckled wood butterflies were enjoying the bramble as woody nightshade crept upwards through the tufted vetch, next to three common species of willowherb – hoary, broad-leaved and great willowherb.